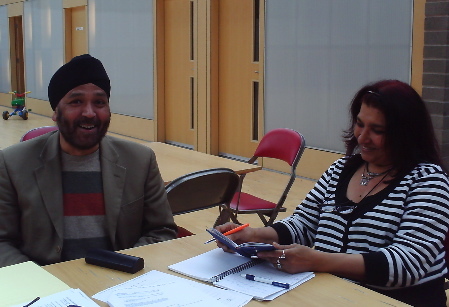 The idea begins with Gurmit Singh, an active member of the Sikh community in Leith as well as being a member of the Leith Festival Programming Committee. 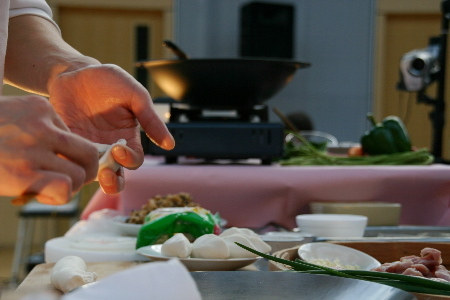 Keen to promote community integration, Gurmit sent an invitation to every minority ethnic community group he could think of inviting them to take part in a cookery demonstration to celebrate their culture. Now Leith Open Space has joined Gurmit and Mridu in their weekly planning sessions at Out of the Blue. Sharing food, as we discovered at our first multicultural discussion event in 2005, is probably the best way of breaking the ice; making connections between different cultures and traditions. We have always wanted to build on the friendly buzz of the lunchtime break during our Open Space events. This seems too good an opportunity to miss! Keep watching this space. We will let you know how plans are progressing. Meanwhile, please pass the word on – and if you are interested in getting involved just email leithopenspace@btconnect.com. Or leave a comment on the blog. We will be delighted to hear from you. 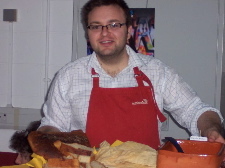 FEAST brought Chinese and Scottish communities together for a creative celebration of food and music in Out of the Blue in 2007.